Keeping up with regular cleaning jobs at home can be tough, particularly if you do not have the right tool for these tasks. Whether it is washing the car, cleaning the driveway, or flushing away debris in your home’s sidings, having a good quality pressure washer can come in handy. For instance, the AR Blue Clean pressure washer can be a solid investment because aside from its impressive features, this unit is designed to last for years, thanks to its optimum durability and superior performance you can count on. AR or Annovi Reverberi has been in the industry for 50 years, and it features a product line of high quality pressure washers called the AR Blue Clean. These top-notch models of pressure washers are known for their lightweight design and high performance level, so you can expect them to last for several years. 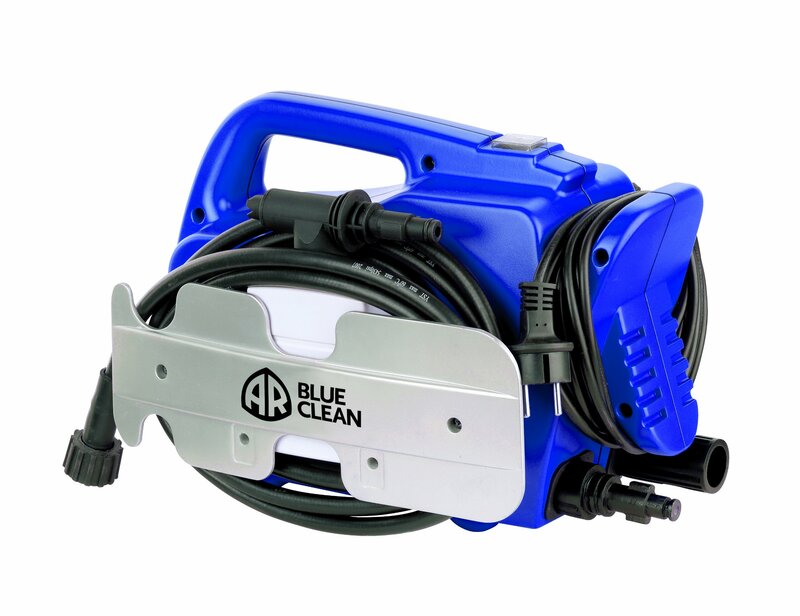 What’s more these machines are versatile, and you can use various accessories to ensure your convenience and overall experience each time you use an AR Blue Clean pressure washer. To help you decide on the best model of electric pressure washer to buy, then you might want to check out these top-rated AR Blue Clean pressure washers that will suit your needs and standards. Managing daily cleaning chores can be tough and time-consuming, so you need to use the right equipment to cut down the amount of time spent on these jobs. With the AR 383, this is made possible, thanks to its powerful PSI rating and high GPM value. There are no jobs left waiting to be completed, as long as you have this unit that you can use for intensive cleaning jobs at home or elsewhere. At first glance, you may think that this pressure washer is too light and unable to handle difficult jobs requiring an equally tough tool. Considering its PSI rating of 1900 nd 1.5 GPM value, you can be sure that this tool has enough power to get any job done easily. It also boasts of the AR Triplex 3 Axial Piston durable pump for optimum power that lasts for a long time. The washer is controlled by the trigger gun, which is equipped with the TSS or Total Stop System. This component gives more power to the machine, so it can handle any tough cleaning tasks easily. For a unit that only weighs 27 pounds, having such amazing features can add to your pleasant experience in using this machine for your daily chores. It even comes with a trolley, so you can transport the unit from one place to another. While the product offers numerous benefits, some product users are not quite satisfied with the hose reel. For instance, reeling is a challenge for others, although it may be done easily by winding up the hose around the top portion of the trolley. Some minor leaks in the hose adapter is another concern, yet you can address this by using a brass adapter instead. If you prefer portability in pressure washers, then this product is for you. 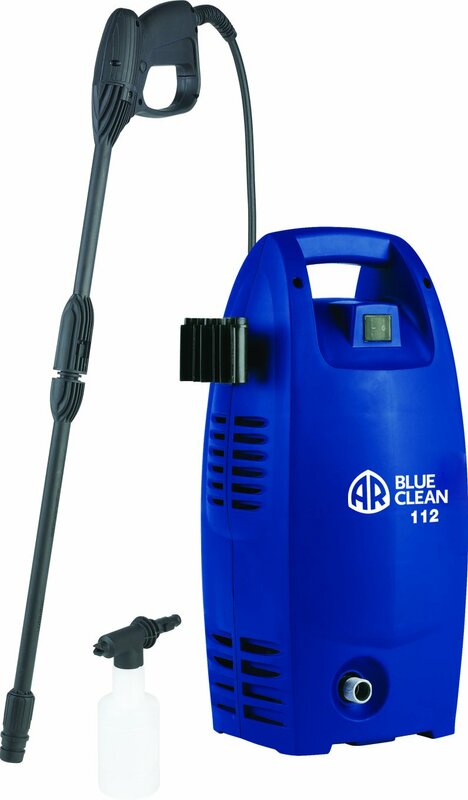 The AR 118 AR Blue Clean pressure washer is a lightweight and convenient cleaning tool that you can use anytime and anywhere. With numerous features and safety components, you can say that this product is indeed worthy of your investment. This handheld pressure washer has a PSI rating of 1500, which means it can handle light- to medium-duty cleaning tasks easily. It even has a 3-axial piston wobble pump, and this allows you to handle and complete more jobs at record time. With a durable body, impressive features and lightweight design, the AR 118 is worth considering for your day to day cleaning jobs. There are several accessories included in this machine, which all add to its performance quality. These components include the spray head, gun wand assembly, detergent tank, hose and water filter. By using these components, you can experience the satisfaction of performing any cleanups at home or at the office in a shorter time. You can wash the patio surface, clean your car and tidy up your flooring quickly with this unit. There are minor leaks at the hose attachment upon using the pressure washer. Although this is not quite a deal-breaker, it is best to be gently with the hose and prevent any sharp tugs to ensure its quality. Other than these two concerns, this product is a wise investment for those looking for a lighter and more portable pressure washer to buy. A bit tougher than the second product reviewed, the AR112 has a PSI rating of 1600. It is the perfect tool for tougher and larger cleaning jobs that require an equally more reliable equipment. With plenty of features and components in this machine, you can be sure that it can handle any intense jobs you need to do. The AR112 comes with a wide selection of features that can significantly lighten your load when you need some cleaning job done in a snap. It has a copper universal motor that is overload-protected, an axial piston wobble plate type of pump, and a Total Stop System component with a trigger gun control for auto shut off. Moreover, there is an detergent container included, which comes in handy for intensive cleaning anytime you want. Generally, this machine is a breeze to set up and use. Even without further experience in using a pressure washer, you can quickly operate this machine because of its user-friendly features. Since the AR112 has a rating of 1600 PSI, you will find it quite ideal for cleaning the driveway or your car. For a larger area, though, a unit with higher PSI rating will be more suitable to use. According to some product users, there is an issue with the adapter because of some leaks. However, this can be resolved by using a spare washer to prevent leak problems with the unit. If you are looking to clean a vast area in your home or commercial area, a heavy-duty machine may be a much better option for you to use. 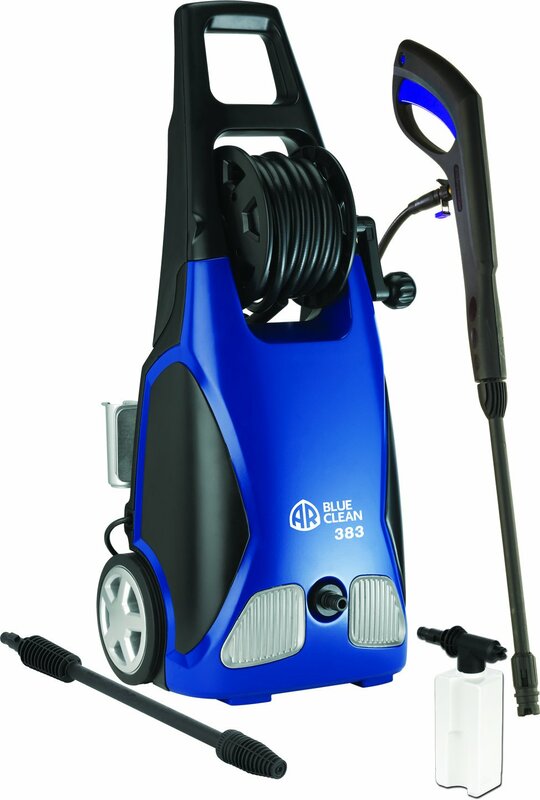 These three AR Blue Clean pressure washer are equally impressive when it comes to their features and benefits. Now, your choice depends on the cleaning job you have in mind, since it gives you an idea about the right features you need for these tasks. So, consider your needs and decide on the key features you require as you choose the finest piece of equipment to purchase.